The Market Research Benevolent Association exists to help those who work or have worked in market research in any capacity, whether as researchers, interviewers, or office staff, as employees or independents, and whether members of The Market Research Society or not. or who have suffered misfortune in any other way. The MRBA may give an outright grant or make a loan. And sometimes it can supplement an applicant’s income for a time, when adverse circumstances reduce their ability to earn a living. Of course, every claim has to be investigated carefully, but the MRBA is as generous as it can afford to be. Now you may know all this, but one of the biggest problems is that not everybody in the industry does and we can’t help in a case that we don’t know about. 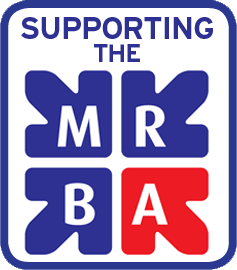 Please make your colleagues and other friends across the industry aware of the MRBA and ensure that they let people in need know of the Association’s existence. To enable it to continue with its work, the MRBA also needs the help of donors and volunteers from within the market research industry. If you would like to enquire about the ways you can do this, say, through a regular subscription, a one-off donation, or by helping to arrange fund-raising activities, please contact Danielle Scott.